The candy version of America's favorite frozen carbonated beverage! 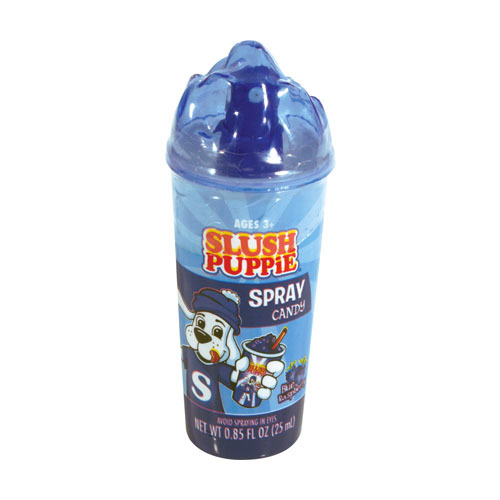 Enjoy these great tasting spray liquid candy available in two of SLUSH PUPPiE®'s top flavors: Cherry and Blue Raspberry. 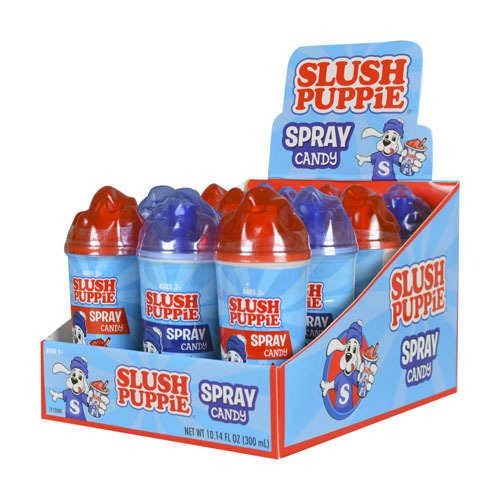 Each display box contains 12 SLUSH PUPPiE® Squeeze Candy tubes. 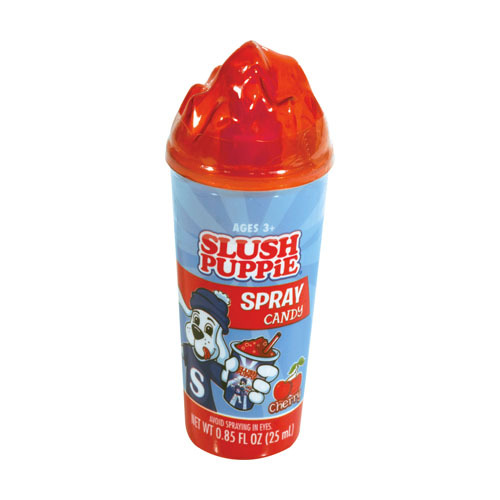 INGREDIENTS: HIGH FRUCTOSE CORN SYRUP, WATER, CITRIC ACID, MALIC ACID, ARTIFICIAL FLAVORS, SODIUM BENZOATE, POTASSIUM SORBATE AS PRESERVATIVE, ARTIFICIAL COLORS: (RED 40, BLUE 1, YELLOW 5).